In the summer of 2013, I spent two weeks in Italy. 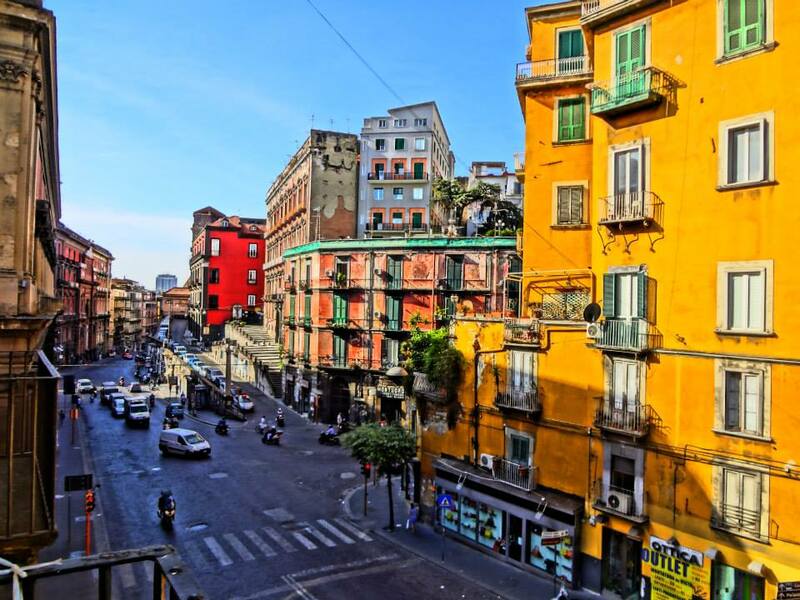 This wasn't my first trip to Italy (and hopefully not the last), but with two guided tours across (almost) the whole country and a few self‐guided days in Naples in‐between, I managed to squeeze quite a lot of city sightseeing into those 14 days. 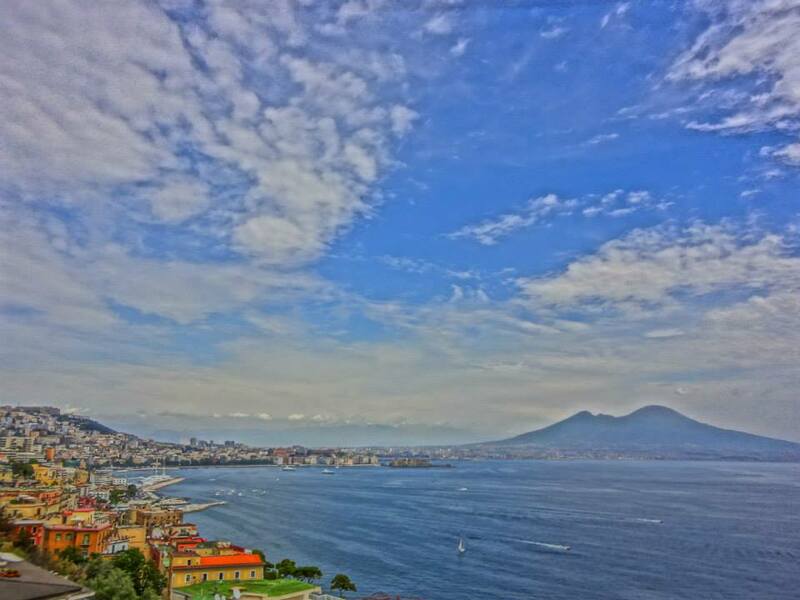 What I can say now is: even the city of Naples alone was worth the trip! What the … BEEP!… are you doing in Naples? That was the reaction of one of my former cinema colleagues in London who had warned me about Naples. He is from Milan himself and there is still a steep divide between the (traditionally more developed and richer) North and the (less developed and poorer) South of Italy. 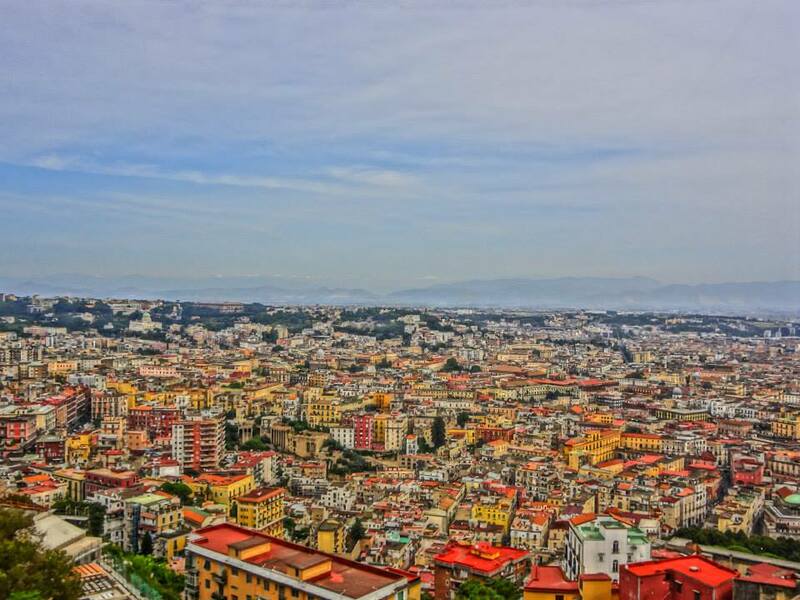 There are many stereotypes of how North Italians (and the world) see Southern Italian cities like Naples. 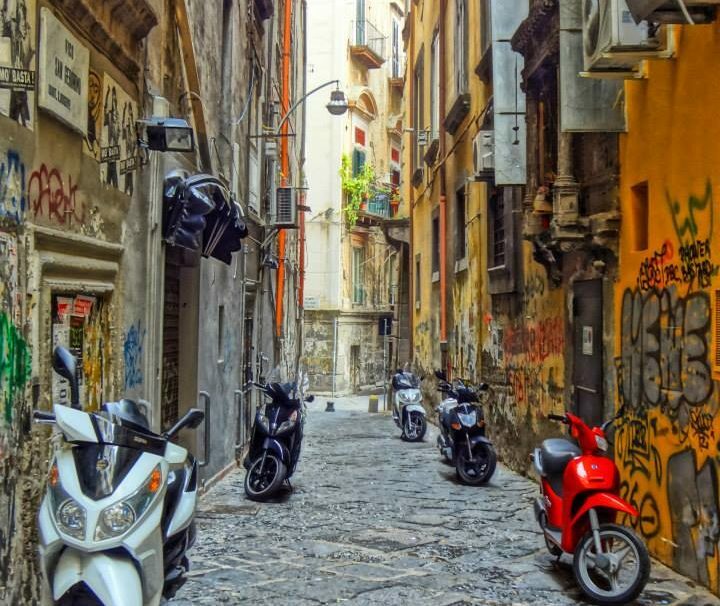 The most prevalent is probably that the Mafia still pretty much controls large parts of the South, especially the city of Naples. 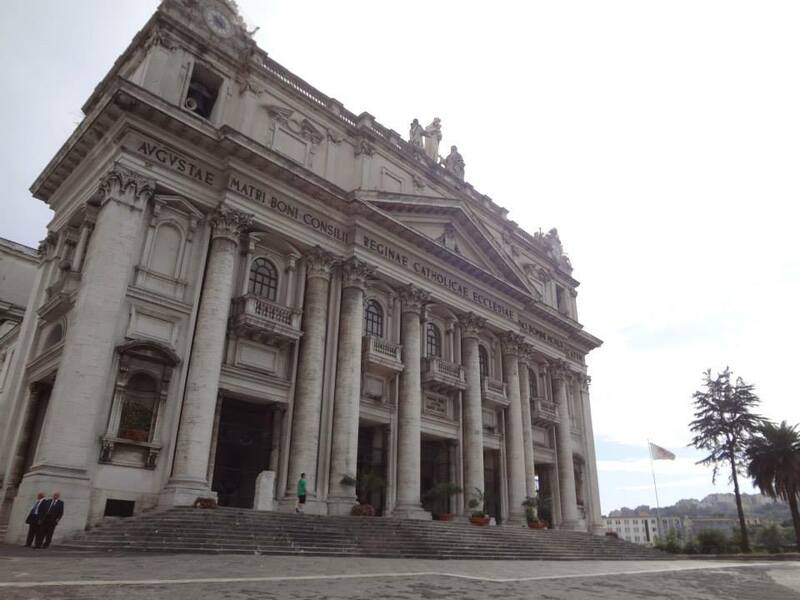 A Neapolitan church – complete with godfathers!? I decided to go anyway… and was positively surprised how safe I felt there and how friendly the people of Naples welcomed me. In fact, they were a lot nicer than those in the tourist strongholds of Rome, Florence or Venice. 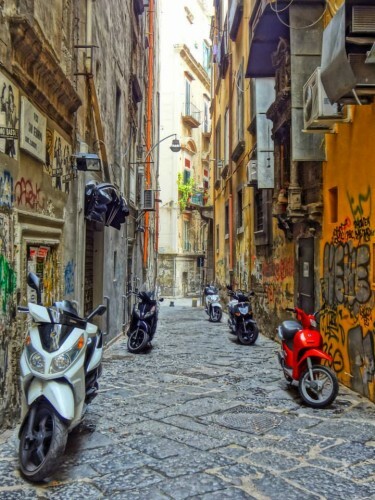 Maybe it's because people of Naples are a bit different than the rest of Italians starting with the fact that they have their very own language which – owing to the city's history – is a mix of Greek, Spanish and Latin. Even I could hear that this language sounded very different from mainstream Italian – although I only speak very little Italian. In terms of tours, this Italy trip broke several records. The Pompeii tour I did several days before Naples on my Busabout Amalfi Coast Tour, was the funniest ever thanks to tour guide Francesco – an Italian original himself! I laughed so much at his outbursts of "Mamma Mia!" and "Fantastico", that this tour is burnt into my memory for all time. The second record was the longest and quietest walking tour ever when the son of the hostel owner showed us hostel guests his city – but without the usual descriptions, anecdotes or any speech for that matter. However, we still enjoyed our long stroll (I think it was about 5 or 6 hours…) taking in the relaxed pace of Naples, which is generally a bit slower than in other parts of the country. The highlight was our visit in a super cheap Pizzeria where you can not only make a bargain, but also taste the original Pizza Margherita that was invented in Naples. This was truly something that only a local could have shown us! 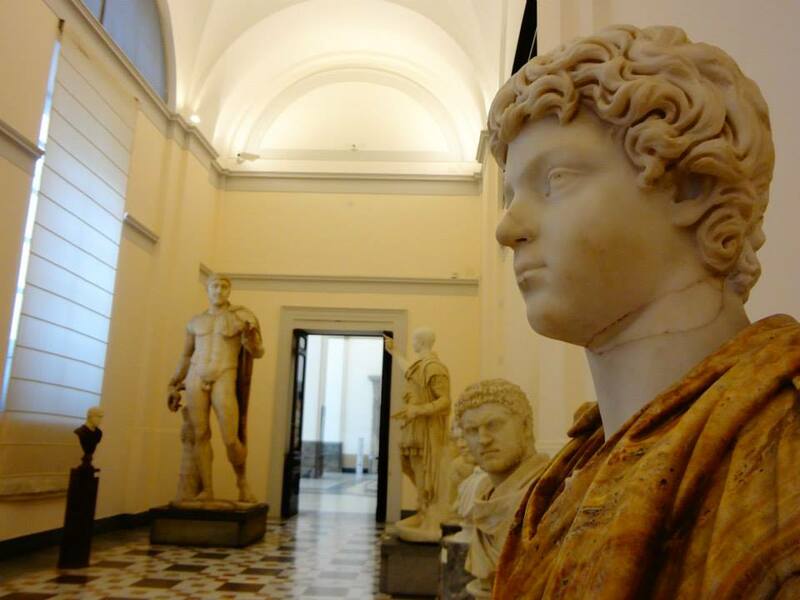 Even though Naples has several great museums, the National Archaeological Museum is probably the most famous one – and it is truly great! 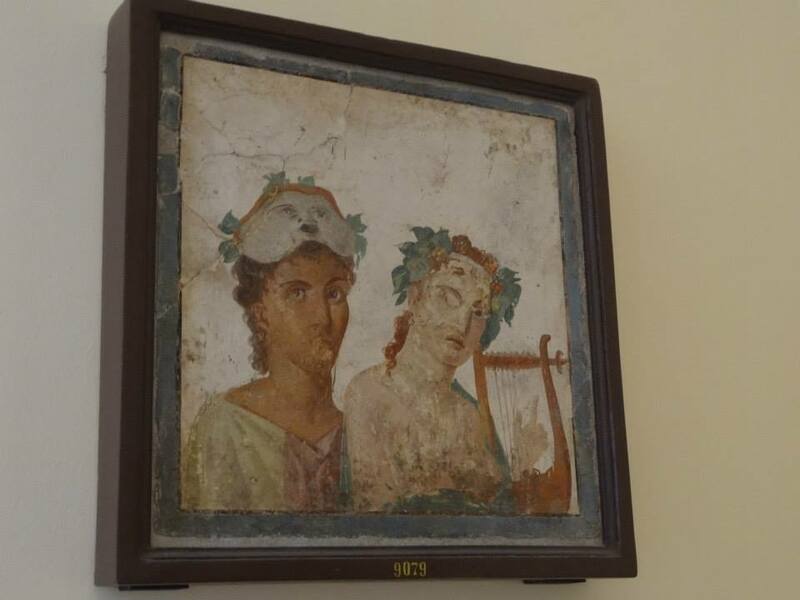 You can see lots of artefacts and paintings from Pompeii here with some of them even looking like they were painted yesterday instead of 2,000 years ago. Amazing! 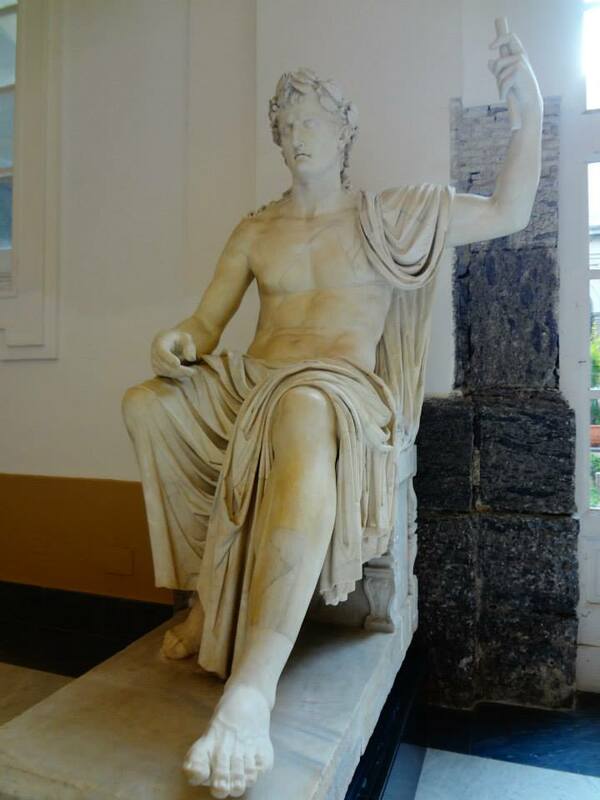 In terms of archaeological treasures, this museum is the most important in Italy and one of the most important museums for this kind of art in the world. 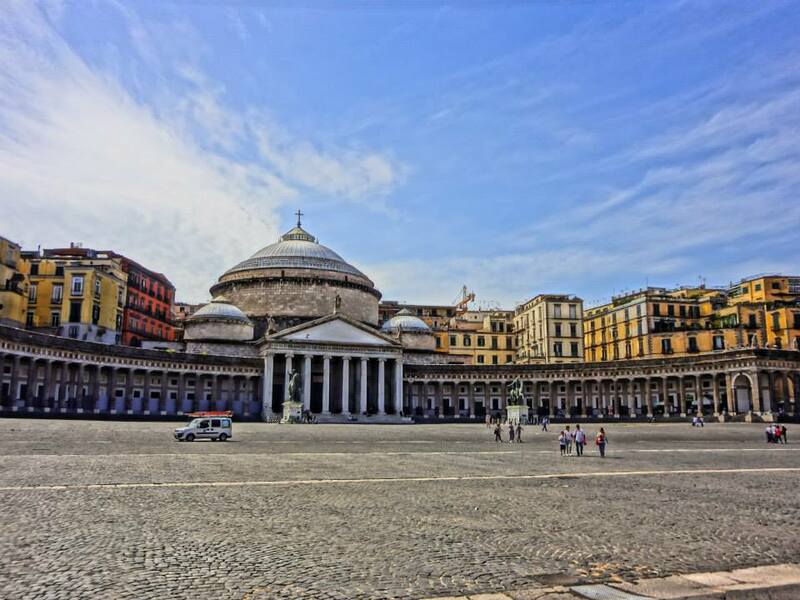 What's more, the historic city centre of Naples is a museum in itself. It's listed as a UNESCO World Heritage Site and according to Wikipedia is the largest historic city centre in Europe! 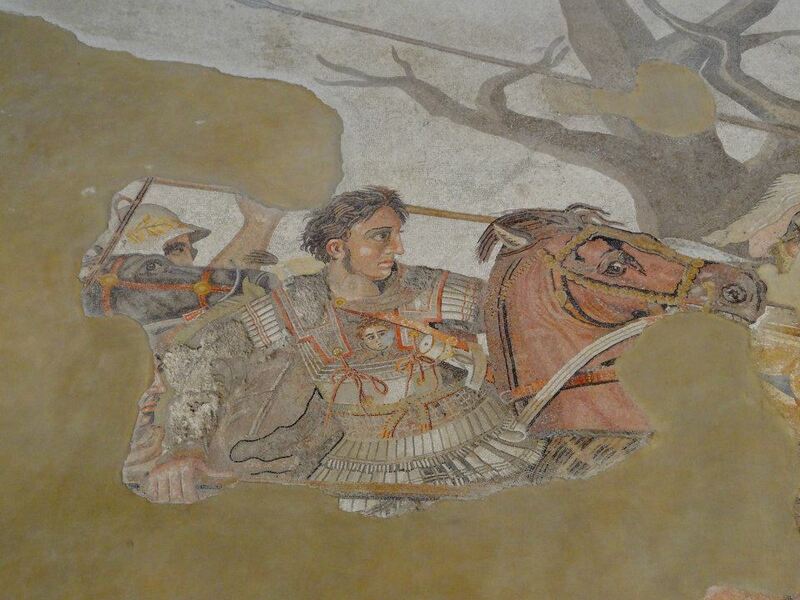 Alexander the Great in his most famous picture! Scary Moment! The notorious Emperor Caracalla has spotted me in a deserted gallery! Another interesting experience while being in Naples was the Underground Naples tour that I took with fellow travellers from the hostel. There is a whole hidden world underneath modern Naples with large parts of it serving as former bunkers in WW2. We had a very knowledgeable, entertaining local tour guide. I believe his name was Gaetano and he was still a student. Me in the Caves – a tough test for my Claustrophobia! One amazing thing he told us, for example, was that underneath a typical row of houses there was a Roman Amphitheatre. This had only been rediscovered recently and when we went in there many traces were still visible. Fantastico! I got quite chilly in the caves and those alley paths were really, really narrow. 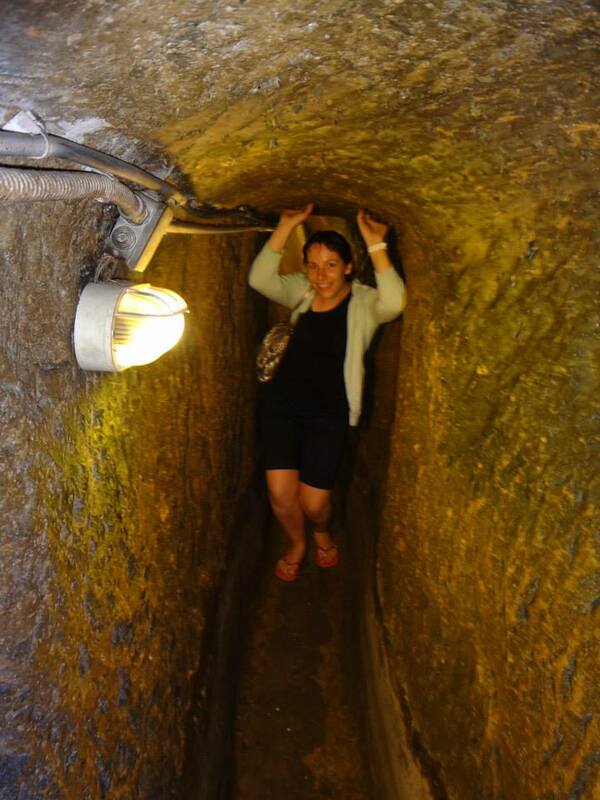 But it wasn't like the tour guide hadn't warned people with claustrophobia (that would include me!). 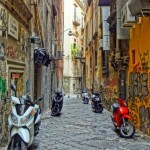 As Naples is a lot less touristy than Rome or Florence, it's a great place to save your holiday Euros. Nowhere else was the typical Italian food so cheap – and so real. You can get delicious and really fairly priced gelato ice cream at many different ice cream shops with lots of unusual flavours (like Nutella or Kinder chocolate!) all around the city. Then there is Pasta Napoli, probably my favourite dish in the world. You can really taste the different when you order one in Naples! 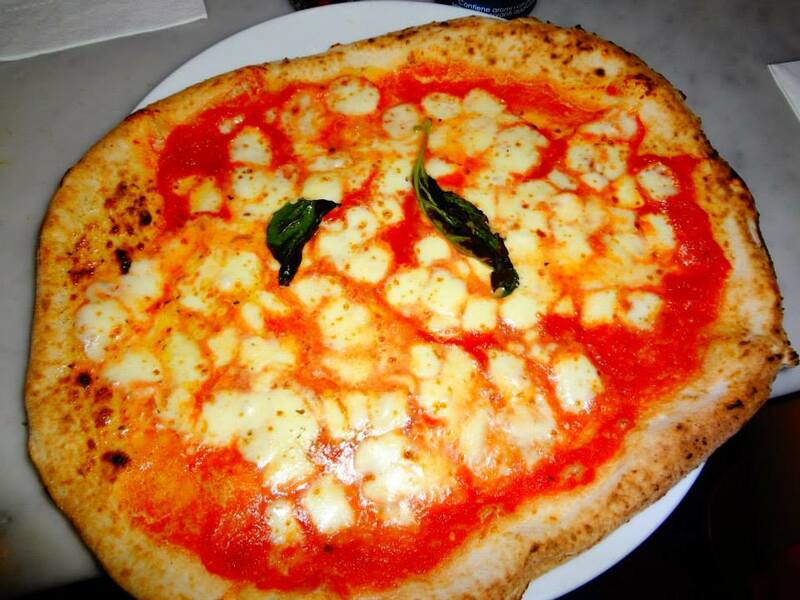 Last but not least there is the Italian national dish pizza, which was invented here! As the legend goes, the Italian Queen Margherita visited Naples in 1889 and ordered a Pizza with the colours of the Italian flag. The simple, but effective ingredients of white mozzarella cheese, green basil and red tomatoes were thrown together and prego – the Pizza Margherita was born! 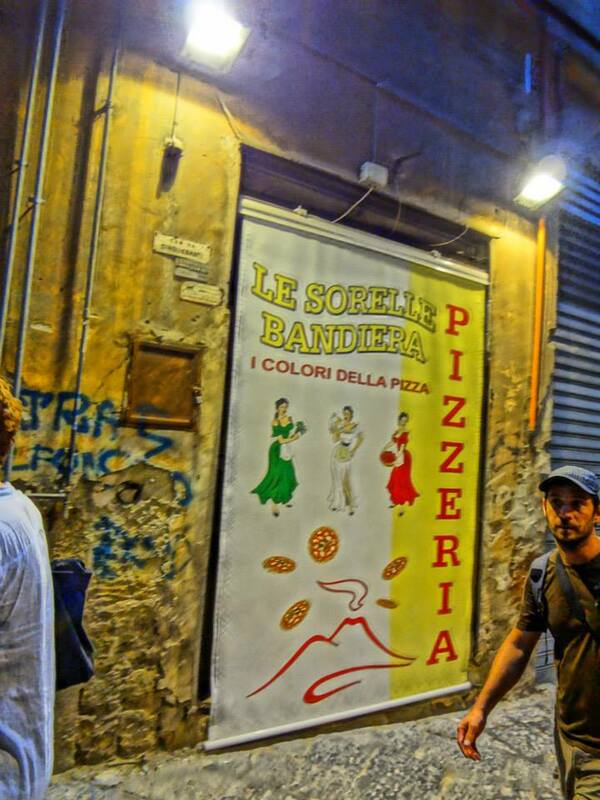 I don't remember exactly, but the pizzeria we went to might have been Sorbillo. The pictures looked a lot like it and the price matches as well. It was 3 € only for a whole lot of Pizza Margherita! 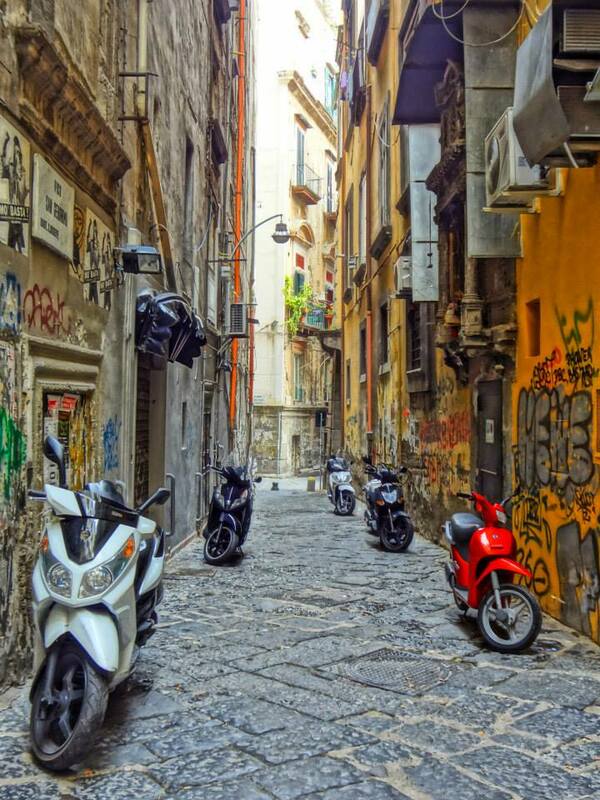 A typical Neapolitan alleyway – complete with scooters! 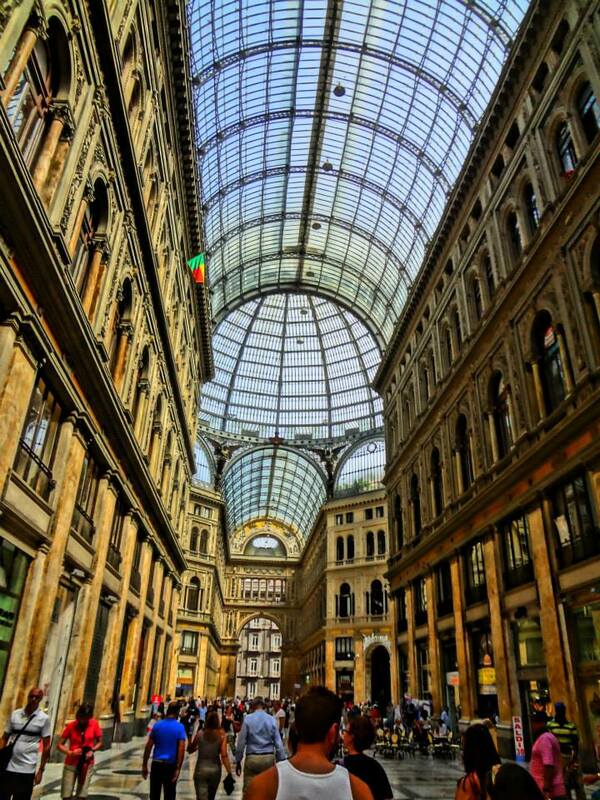 After all this, did you get a taste for Naples, too? Or have you already been and have a few good sightseeing tips? If so, leave a comment below. "In Rome, you will search for an ice cream shop in vain as there are practically none." What??? I was in Rome for a week and a half and visited easily more than one a day. Rome has great gelato, and it's easy to find.